If you're looking for the absolute fastest way to find your house (or any location at all) on Google Street View, you should check out InstantStreetView.com. It's a third-party website that allows you to simply type any address into a search field to instantly show you that location on Street View. You can even use it from the web browser on your mobile device. You can click the About button on the top menu bar located to the left to see a legend of the different colors outlining the search field, which changes according to what you type into it and what the site can find. When you find the right place, you can use your mouse by clicking and dragging it around to change direction, and use the arrows at the bottom to move backward, forward or sideways. ShowMyStreet.com is another popular site that works very similarly to Instant Street View. It also tries to guess the location you're looking for as you begin typing it in, but there are no auto-complete drop-down suggestions to click on. The Instant Street View site is great if you want to look at a specific location immediately, but if you know how to use Google Maps already, then you can easily switch to Street View from there too if the location you want to look at has been photographed by the Street View team. Keep this in mind any time you're using Google Maps. Start by accessing Google Maps by navigating to google.com/maps in your web browser. Type a place or address into the search field on Google Maps and then look for the little yellow Pegman icon in the bottom right corner (shaped like a little person). If you can't see a yellow Pegman, then that means Street View is not available for that location. When you click the Pegman, a pop-up box will appear on the left featuring Street View imagery. You can click on that to view it in fullscreen so you can move around and start exploring. The address you're looking at should appear on the left along with the date the imagery was last updated and a back button to go back to Maps. The Google Maps app isn't the same as the Google Street View app – they are separate apps. If you have an Android device, you can download the official Google Street View app from Google Play if for some reason you don't have it already. For iOS devices, Street View used to be built into the Google Maps app, but now there's a separate iOS Google Street View app you can use. Once you've downloaded the app (and maybe also signed into your Google account), you can plug an address into the top search bar and then tap on the map to place "Pegman" (the little person icon). The 360 imagery closest to him will appear below. Click on the imagery below to see it in full screen and use the arrows to navigate around the area. What's particularly cool about the Street View app is that you can actually capture your own panoramic imagery using your device's camera and publish it to Google Maps as a way to contribute, so that you can help users see more of what they want to see in those locations. What If I Still Can't Find My House? So you plugged in your home address and got nothing. What now? Most major urban areas – particularly in the U.S. – have been mapped out on Street View, but that doesn't necessarily mean that absolutely every house or road or building will show up when you search for it. Some rural areas are still being mapped. You can request to edit road segments using Google Maps to suggest a new location be reviewed and possibly added at some point in the future. Keep in mind that Google updates imagery pretty regularly, especially in major cities, and depending on where you live or what location you're looking at, imagery may be old and scheduled for an update to better reflect its current condition. Consider checking back in a few months or so to see if your house or a particular address has been added to Street View. Google Street View was meant to show you the world when you can't physically go there for yourself, so it's a little bit funny that so many people just want to look at their own houses. 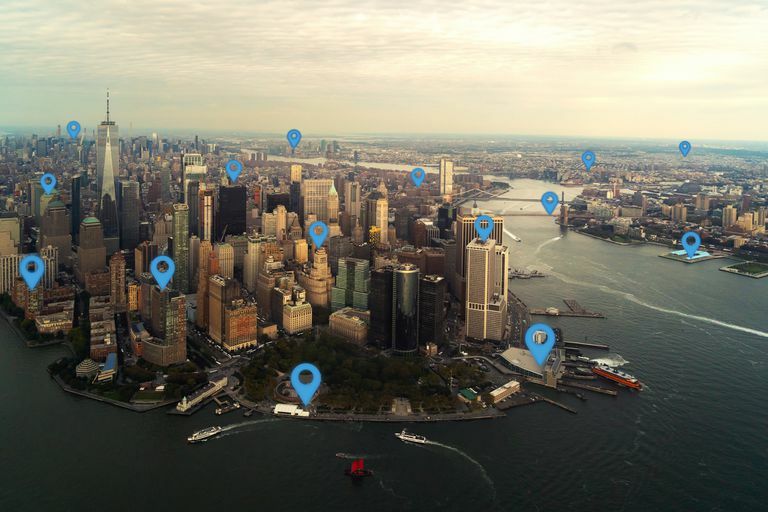 Why not explore some of the best places on Earth with Street View? Here are 10 amazing places you can check out by simply clicking on each link to be directly taken there.